The first time I heard about Dunhuang in China’s Gobi desert, I was attending a seminar conducted by Dr. Vincent Yip. Dr. Yip is an accomplished photojournalist who taught a Silk Road course at Stanford in addition to his courses about Marketing to more than 1.3 Billion Customers in China and Asia. Between the fourth and 14th centuries AD—over a thousand years of history was documented on scrolls, sculptures and wall paintings revealing a multicultural world more vibrant than anyone imagined. Contrary to popular belief and the Dalai Lama’s soft-spoken words of peace, Buddhism, like all large religious movements, has had a bloody and violent history depicted in the picture on page 145 of the National Geographic that shows an eighth-century heavenly armored guard with bulging eyes trampling a foreign demon. This entry was posted on Wednesday, August 3rd, 2016 at 05:00 and is filed under Buddhism, Buddhist, China, Chinese history. You can follow any responses to this entry through the RSS 2.0 feed. You can leave a response, or trackback from your own site. Thanks for sharing! I’m looking forward to my trip to dunhuang this summer. But I don’t understand why the words “bloody and violent history” were used. Yes, wars have been fought in Buddhist areas, but to use such extreme words for a spirituality that has elevated people’s minds and morals for centuries is quite ignorant. “Violence in Buddhism refers to acts of violence and aggression committed by Buddhists with religious, political, socio-cultural motivations as well as self-inflicted violence during ascetics or for religious purposes. Buddhism is generally seen as among the religious traditions least associated with violence, but in the history of Buddhism there have been acts of violence directed, fomented or inspired by Buddhists. Jerryson & Juergensmeyer 2010, pp. 24. Westerners think that Buddhism is about peace and non-violence. So how come Buddhist monks are in arms against Islam? Thanks for the info, but I’ll stick to MY guns. Having traveled to many eastern asians countries, I have experienced with my own senses the virtues that have been passed down from followers of Buddhism. It takes just one visit to a temple to feel the inner PEACE resonating through one’s body, mind and soul. Generalizing and reading other people’s “facts” and opinions isn’t my thing. Experiencing is. How many apples do you have to eat before you bite into one that is rotten to the core? Personally, I prefer strawberries. They’re fresher! But not all strawberries are equal. Some have no flavor. My aunt studied all the religious for most of her life and she said that Zen Buddhists were the most peaceful, but like all major religions, Buddhism is not one unified sect. Even Tibetan Buddhism is divided into four major sects and the Dalai Lama belongs to only one of them. Before Buddhism was introduced to Tibet by a conquering warlike Mongol king, the Tibetans were violent and warlike. And even after Buddhism arrived, not all Tibetans were peaceful. The October 1912 issue of National Geographic Magazine was dedicated to Tibet and China, and there’s a piece in that issue written by a Western-trained Chinese doctor who was sent to Tibet by the Emperor of China in 1907 to deal with a cholera epidemic. He stayed for several years in Lhasa and took a lot of photographs and shared what he learned about Tibet and its people. 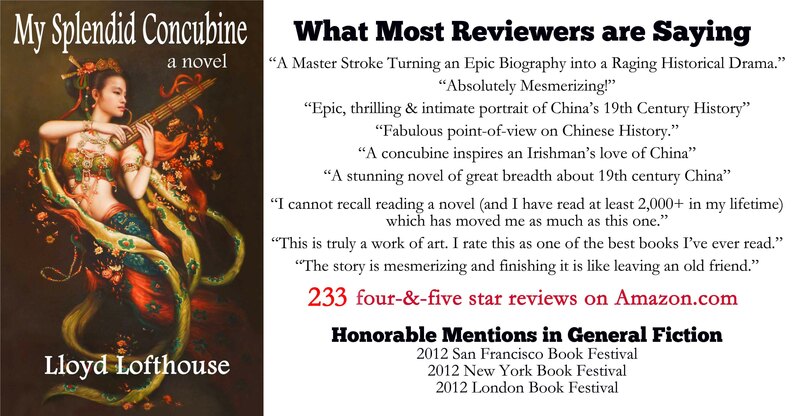 It’s worth reading to learn what life was really like in Tibet for most of the Tibetans. Thank you for the clarification. It’s important to make a distinction between the sects. When compared, Zen Buddhism has a much more peaceful history and philosophy than Tibetan Buddhism, where politics has always played a larger role in its development imo.